Hello friends, In a previous article we talked about Fight Against Cancer ,what is cancer ? cancer cell division, cancer sign and symptoms and what’s the common treatments and other procedures and techniques. Here today we are going to talk about facial Palsy or bell’s palsy.Have your heard about facial Palsy or bell’s palsy, before ? if not ,don’t worry, this article will help you.Our goal is a better life for everyone. Facial palsy also called idiopathic or bell’s palsy. The term facial palsy or bell’s palsy generally refers to weakness of the facial muscles or we can say sudden weakness in the muscles on one half of the face.When a facial nerve is either non-functioning or missing, a condition in which the muscles on one side of your face become weak or paralyzed. It affects only one side of the face at a time. 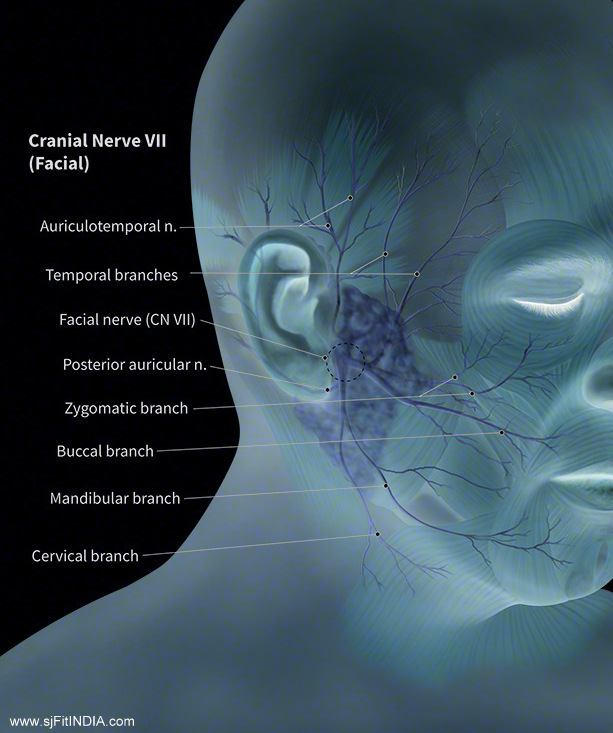 In our face, each side has its own facial nerve,so damaging the right side facial nerve will only affect the right side of the face, and vice versa.In our human body each nerve starts at the brain and enters the face to the front of the ear where it then divides into five separate branches.These branches supply the muscles which are essential for facial expression. Saliva production , tears and taste are also controlled by the facial nerve in different manner. Facial palsy normally affects only one side of the face although in some or rare cases it may affect both sides. It does not cause weakness in your arms or legs. If you experience weakness in your arms or legs as well as weakness on one side of your face, you should seek immediate medical attention. These symptoms grouped together may indicate a stroke. The exact reason why this happens is not clear yet. A decrease in your ability to taste. 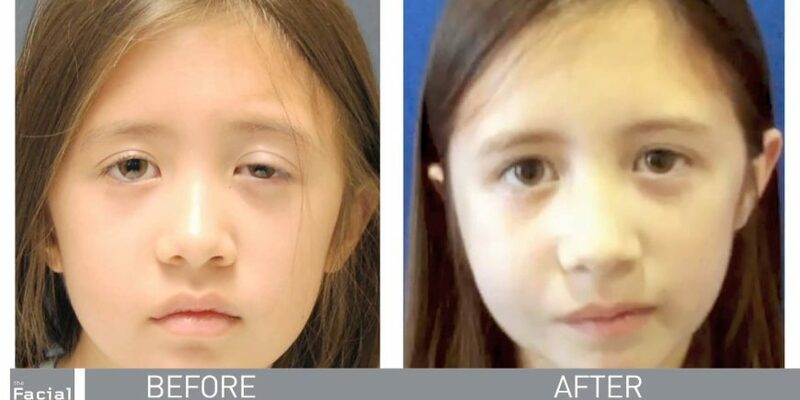 When we talked about facial palsy, there are actually many different causes , and treatment and prognosis vary greatly depending on the cause. If we talked about researchers, they believed that viral infections may also play a role in the development of facial palsy or bell’s palsy. They’ve found evidence that suggests the herpes simplex 1 virus (a common cause of cold sores) may be responsible for a large number of cases. 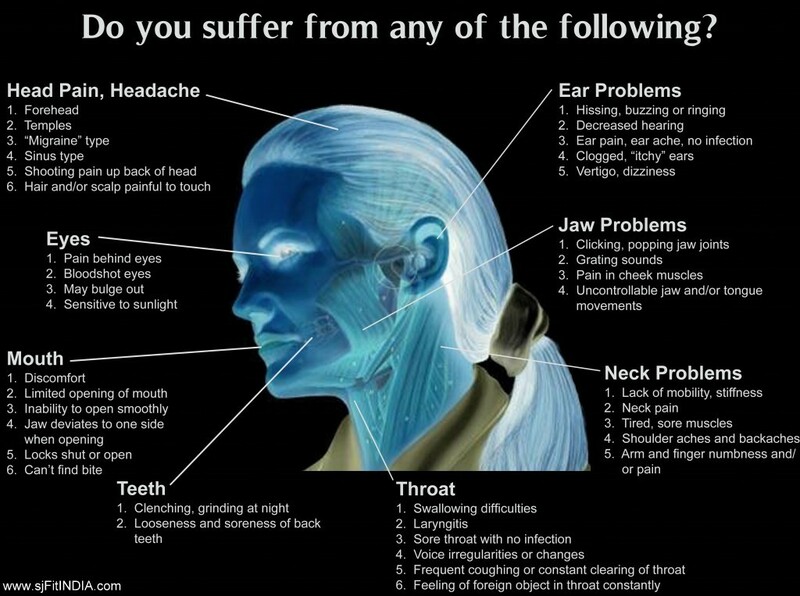 Some of other major causes of facial palsy are listed below. Surgical causes for example during removal of acoustic neuroma or facial nerve tumour, or when operating on the parotid gland. Birth trauma for example caused by forceps or facial presentation delivery. Stroke although a stroke can cause facial palsy it is slightly different in that the problems are not caused by direct damage to the facial nerve. The paralysis in this case is caused by brain damage and the messages not being transferred properly to the facial nerve. Facial nerve injury classified into three categories. Second degree injury – Where the facial nerve is more severely damaged but still retains its outer layer. The nerve begins to show the first signs of recovery at about four months as it slowly repairs itself at the rate of around one millimeter per day. Third degree injury – When the facial nerve is more severely damaged, any recovery is much slower and always incomplete. Sometimes the nerve is completely severed and surgical repair is needed to restore facial function. There’s no specific test for facial Palsy or bell’s palsy. Your doctor will look at your face and ask you to move your facial muscles by lifting your brow,closing your eyes, showing your teeth and frowning, among other movements. Electromyography (EMG) -This test can confirm the presence of nerve damage and determine its severity. An EMG measures the electrical activity of a muscle in response to stimulation and the nature and speed of the conduction of electrical impulses along a nerve. Imaging scans – Magnetic resonance imaging (MRI) or computerized tomography (CT) may be needed on occasion to rule out other possible sources of pressure on the facial nerve, such as a tumor or skull fracture. Most people with facial palsy recover fully with or without treatment. There’s no one size fits all treatment for facial palsy or bell’s palsy, but your doctor may suggest medications or physical therapy to help speed your recovery. Surgery is rarely an option for facial or bell’s palsy. Commonly used medications to treat facial Palsy or bell’s palsy. Corticosteroids – Such as prednisone, are powerful anti-inflammatory agents. If they can reduce the swelling of the facial nerve, it will fit more comfortably within the bony corridor that surrounds it. Corticosteroids may work best if they’re started within several days of when your symptoms started. Antiviral drugs – The role of antivirals remains unsettled. Antivirals alone have shown no benefit compared with placebo. Antivirals added to steroids are also unlikely to be beneficial.However, despite this, valacyclovir (Valtrex) is sometimes given in combination with prednisone in people with severe facial palsy. Although there’s little scientific evidence to support the use of alternative medicine for people with facial or bell’s palsy, some people with the condition may benefit from the following. Relaxation techniques – Relaxing by using techniques such as meditation and yoga may relieve muscle tension and chronic pain. Acupuncture – Placing thin needles into a specific point in your skin helps stimulate nerves and muscles, which may offer some relief. Biofeedback training – By teaching you to use your thoughts to control your body, you may help gain better control over your facial muscles. Vitamin therapy – Vitamins B-12, B-6 and zinc may help nerve growth. Hi Vaishali, Thank you for your valuable feedback.Be happy, stay fit and healthy. I am glad for commenting to let you know what a excellent experience my daughter undergone viewing your webblog. She came to understand plenty of details, with the inclusion of what it’s like to have a wonderful helping heart to make folks smoothly fully grasp various extremely tough things. You actually did more than my desires. Many thanks for supplying such warm and helpful, healthy, explanatory and in addition cool guidance on the topic to Sandra. Hi Karim, Thank you for your valuable feedback.Hope you are doing good.Be happy, stay fit and healthy.Our goal is a better life for everyone. It’s really a nice and helpful piece of info. I am happy that you shared this helpful info with us. Please keep us up to date like this. Thanks for sharing. Hi Sylvain, Thank you for your valuable feedback.Hope you are doing good.Be happy, stay fit and healthy. ← Is GMOs causing cancer ?